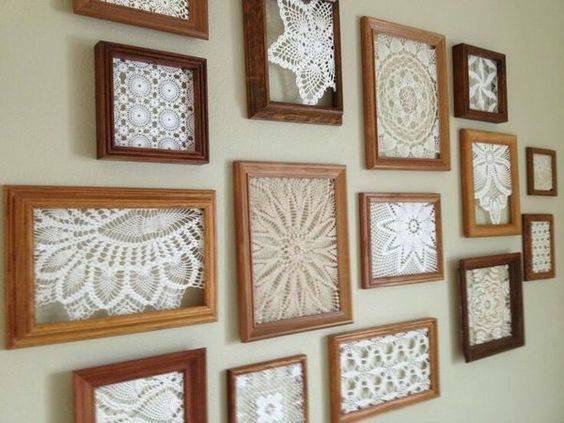 Some of us have been blessed to inherit vintage doilies. 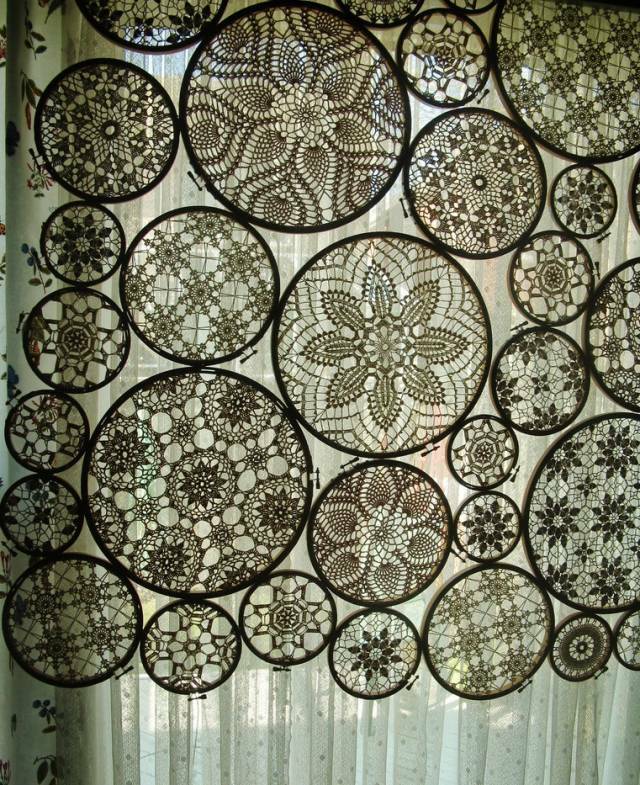 Some of us still adore the delicate patterns so lovingly hand crocheted. 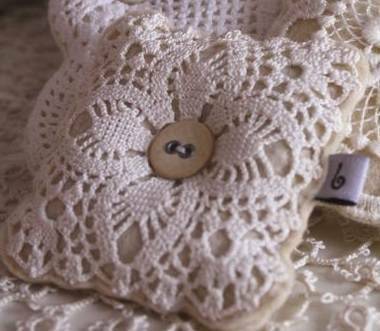 Some of us just love all things lace! 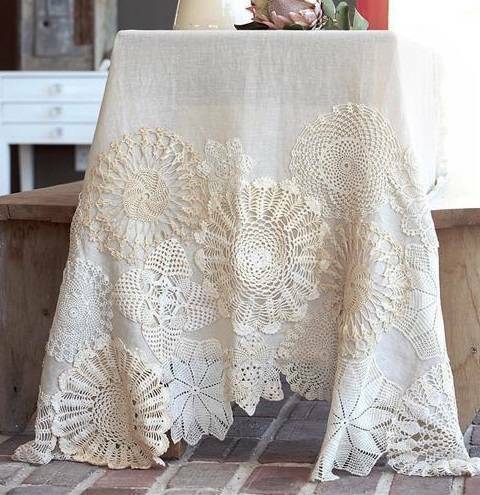 No matter what category you fall in, most of us succumb to the allure of these dainty pieces at one point or another in our lives. But what to do with them? 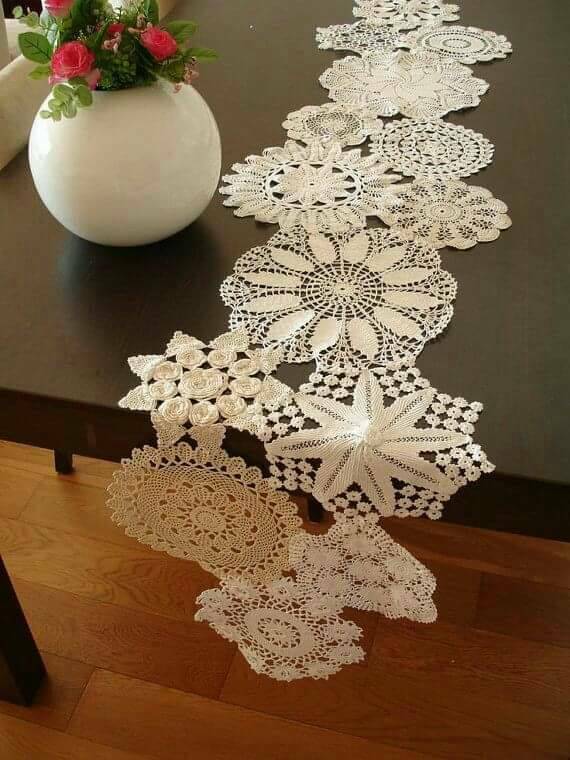 Our grandmothers used them as decorative protection on the backs and arms of chairs and as underlayments to centerpieces, but this is so out-of-date today. 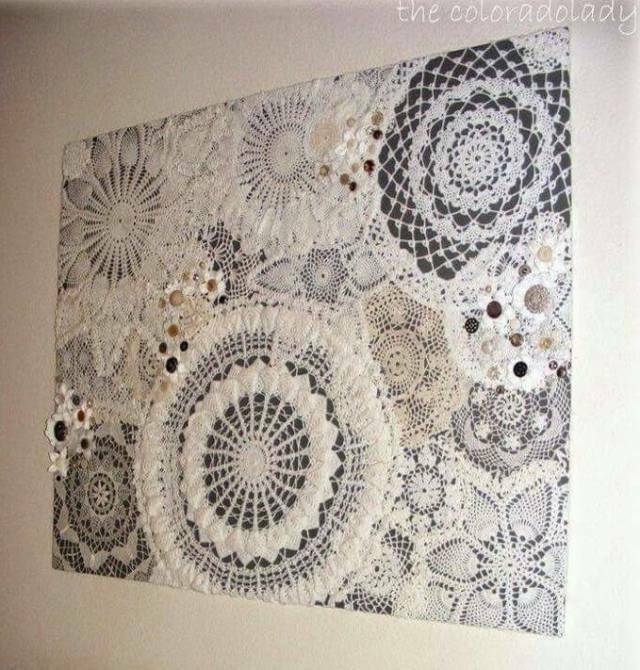 Never fear – the creative powers on Pinterest have come to the rescue! What an elegant place to store the remote! 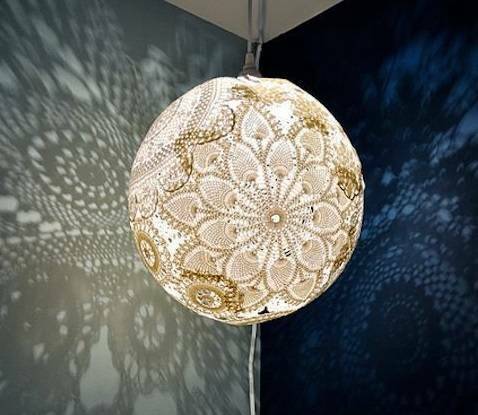 Sooo cool – I want one! 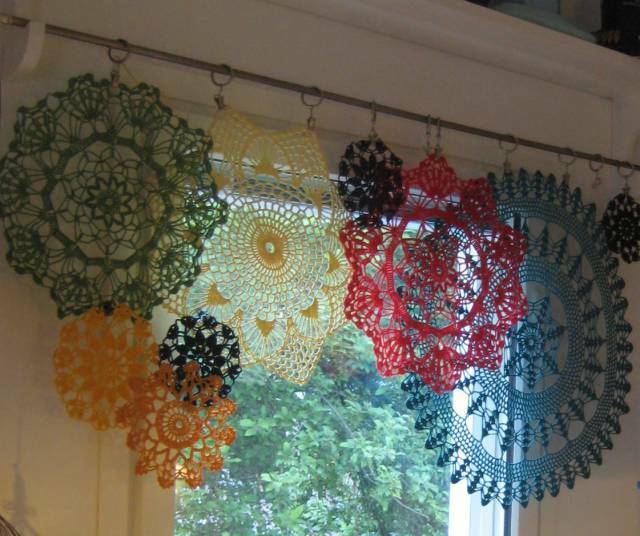 While wandering Pinterest, I also spied many other examples for doily use – mobiles, stiffened for bowls, gift bags, jar or tea light covers, decoration for scrapbook covers/pages, to create a banner, decorate a tote bag or throw pillows, use as a stencil, to press into clay for plates/bowls/ornaments, crochet together to make a curtain/lightweight throw, or as an insert for a room divider. 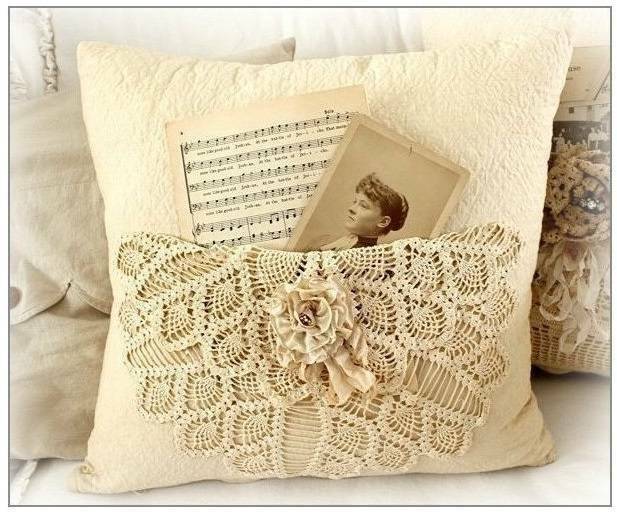 And please don’t forget – doilies are usually made from cotton, which is a very dyeable material; you certainly don’t have to limit your creativity to the traditional whites and ivories. 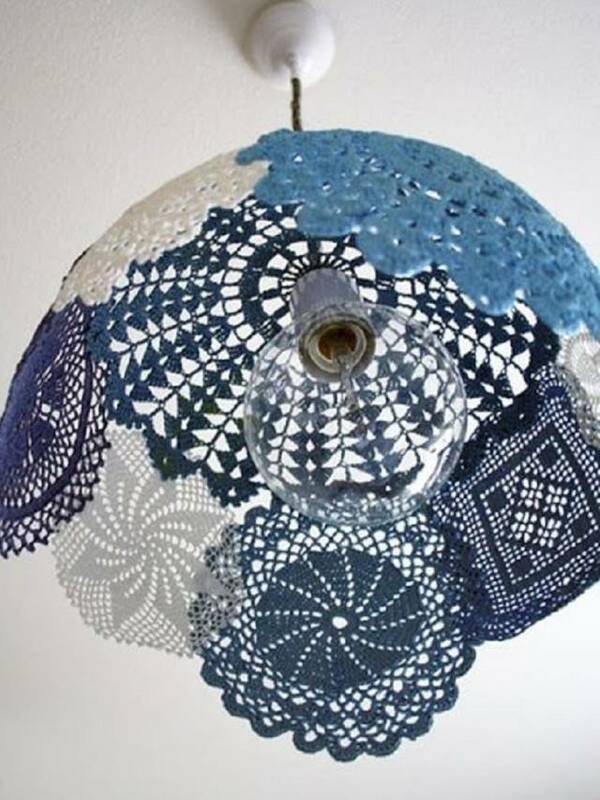 Vive le doily!